DRONE VIDEO bhuas.com/thonestone Call or Text Listing Agent - Kade Welfl - The Real Estate Center of Spearfish - 605-210-0010. 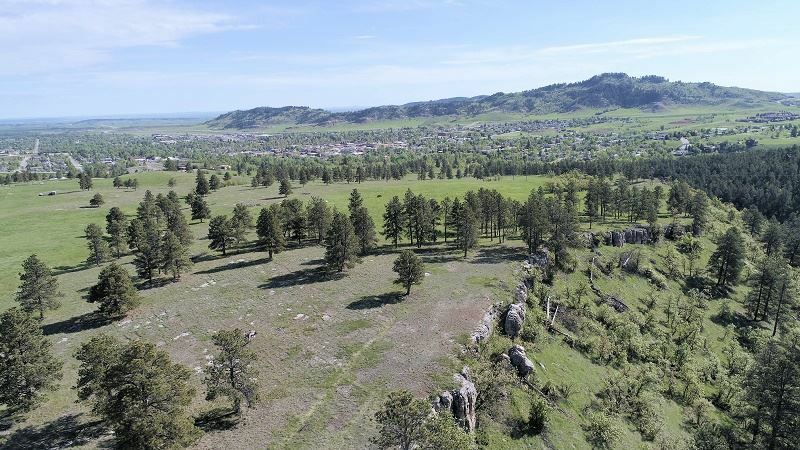 This is your opportunity to own 64 acres located above the City of Spearfish with views in every direction. Whether you're a horse enthusiast looking to build your dream home or a developer ready to start the next subdivision, this property has it all. A canyon rim runs the length of the eastern border and offers views as far as the eye can see. There is a mix of scattered timber, open space, draws and topography that can only be found in Western South Dakota. Situated above the Spearfish Fish Hatchery and south of the passion play, this is the ideal location for South Dakota Acreage. Buyer is responsible for verifying all information on this MLS document.